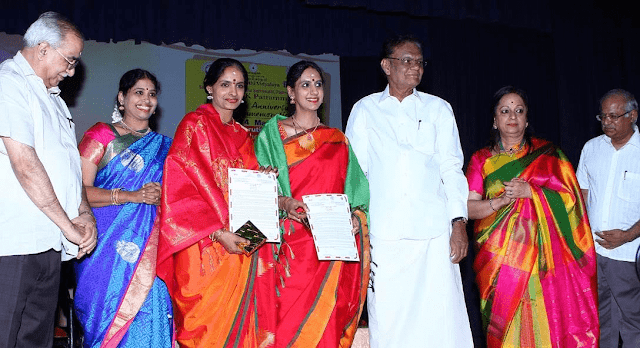 Ranjani and Gayathri, well-renowned musician sisters were conferred with the title Isaijothi and D.K Pattamal Award to commemorate the 98th birth anniversary of Padma Vibhushan D.K. Pattamal, Legend of Carnatic music. The award was presented by Aanmajothi - cultural wing of Saraswathi Vidyalaya School and Bharatiya Vidya Bhavan. Recalling her memories as a teenager, Ms Gayathri said,” Although the thought of playing for Ms. Pattamal was initially startling, her warm approach and attitude induced a lot of positive spirit.” An artist needs to be consistent and hardworking to sustain and produce extraordinary work, she added. 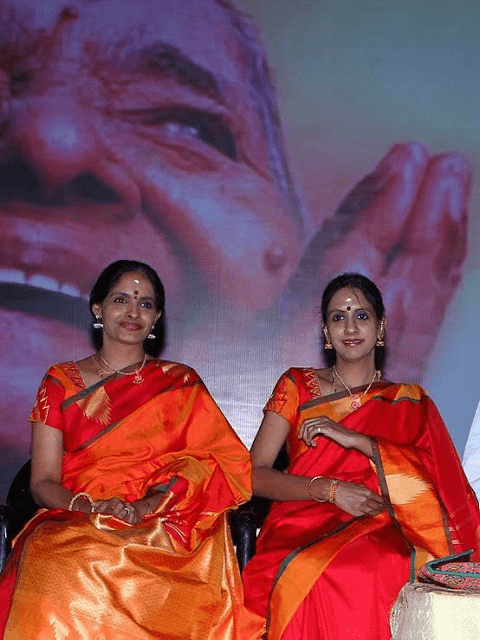 Musician Dr. Nithyasree Mahadevan also recalled about how her grandmother Pattamal would endlessly applaud the performance of Ranjani and Gayathri, as violinists. Adding further, she said, “This award is a recognition for their remarkable talent and I am happy to see the duo’s transformation from being exceptional Violinists to extraordinary Vocalists.” She also spoke about how Aanmajothi has been significantly contributing to music arena. L. Sabaretnam, Chairman, Bharatiya Vidya Bhavan, K.N Ramaswamy, Director, Bhavan’s Chennai Kendra and musician Geetha Rajasekar were also present.